Heat oven to 450°F. Line 15x10x1-inch pan with cooking parchment paper. In large bowl, mix melted butter and sauce. 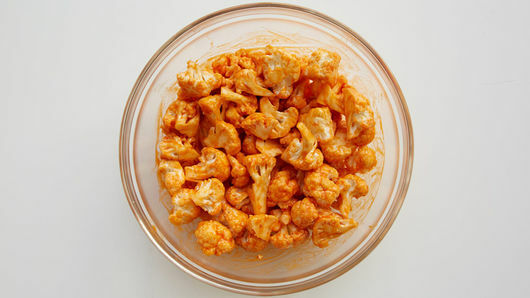 Add cauliflower; toss until well coated. 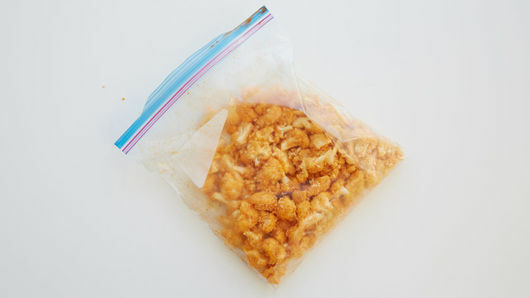 Place bread crumbs in gallon-size resealable food-storage plastic bag. Add cauliflower; shake to coat. Place cauliflower in single layer on pan. Bake 20 to 25 minutes or until light golden brown and crisp-tender. 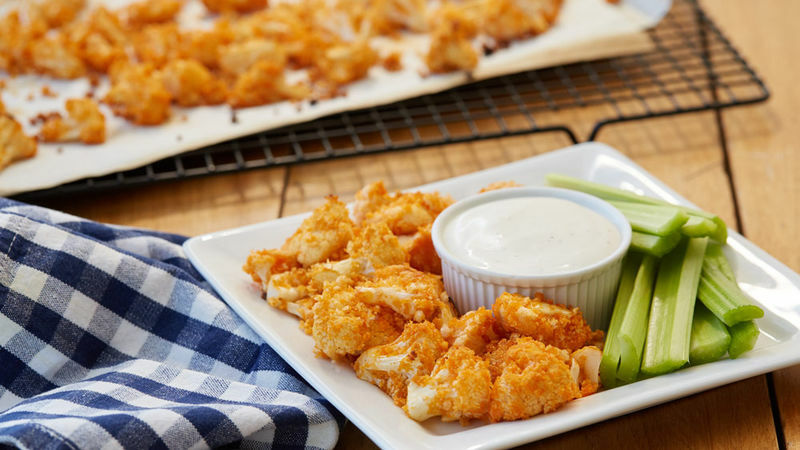 Serve these cauliflower bites with your favorite dipping sauce such as ranch or blue cheese dressing. Serve with carrots and celery sticks.